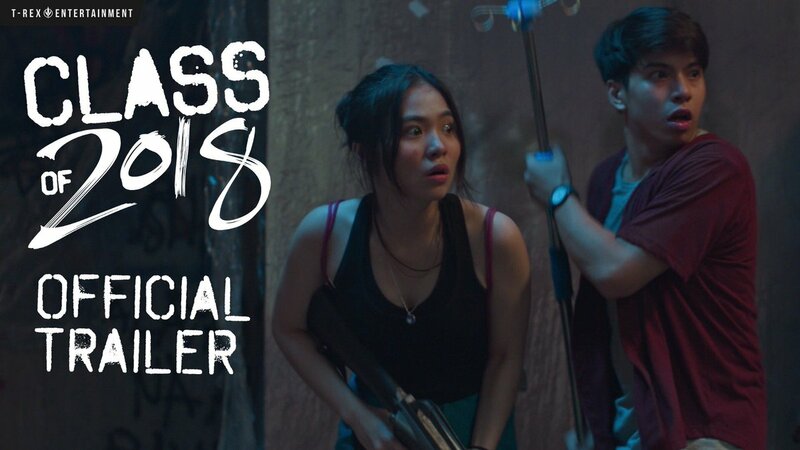 T-Rex Entertainment has dropped the full trailer for 'Class of 2018' — and it's filled with thrills that will keep us guessing until the end. The almost 2-minute trailer, as seen below, shows a group of students quarantined by the military in an abandoned facility during what they think is a field trip. In their fight for survival, they deal with the dangers of the contagious virus and politics among untrustworthy classmates. The movie, directed by Charliebebs Gohetia stars former 'Goin' Bulilit' cast members Sharlene San Pedro, Nash Aguas, Kristel Fulgar, CJ Navato and Kiray Celis. It is set for release on November 7.